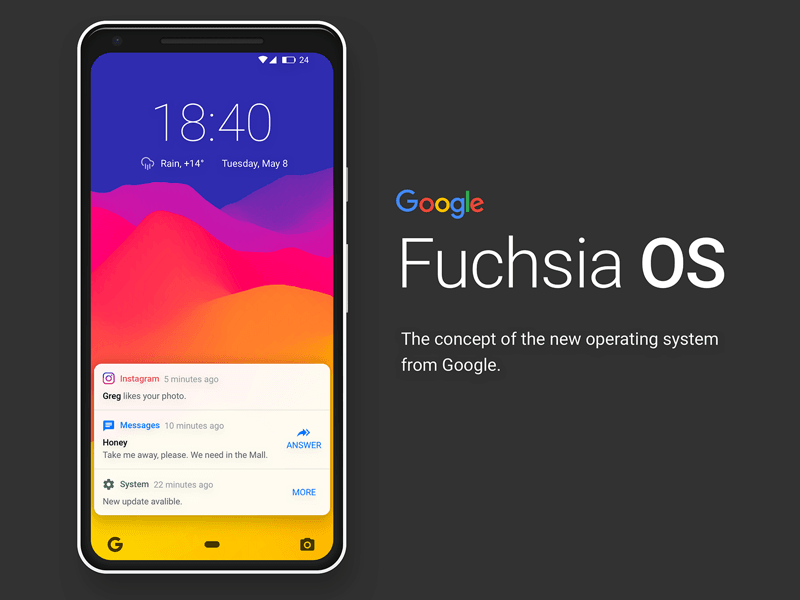 Google is working on a new operating system called Google Fuchsia since 2016, but the details are still few at the moment. The latest news on the new operating system that could replace Android comes from Bill Stevenson, a high- tech Apple engineer who says, through a post on LinkedIn, that will join Google to help introduce the new operating system on the market. Although this does not define a timeline, it will be interesting to see what Stevenson can offer for the Google team, as the Senior Manager for Mac / Windows program management has been an Apple employee for almost 15 years. Previously he worked on OS X, first as a product release engineer, then as a senior engineering program manager, Stevenson has also gained significant experience with cloud services such as Find My Mac and iCloud for Mac. His new role in Google has not yet been publicly disclosed, but given his credentials he is likely to take a senior position. According to Bloomberg’s July report, Stevenson will join a group of over 100 engineers, including designer Matias Duarte, who is working on the part-time project. In the post, Stevenson also said he is looking forward to working with Chris McKillop, who works on Fuchsia as an engineering director at Google and is a veteran of Apple. Google is planning to eventually replace Android with Google Fuchsia and that it could happen within five years, however Google has responded that there is no concrete plan for replacing Android within the next five years.